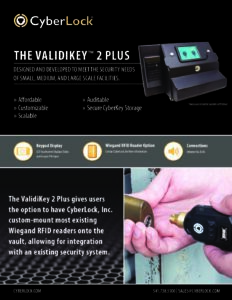 The ValidiKey 2 Plus vault can hold and program up to two CyberKey smart keys. It has a door that locks to secure the keys until an approved RFID card is scanned or a mission number is entered on its display keypad. 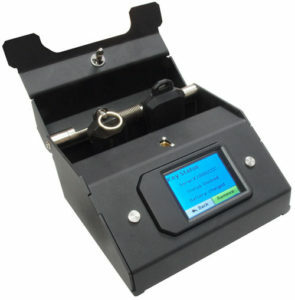 After verifying the mission from its internal cache, the ValidiKey 2 Plus programs a key with that user’s permissions, unlocks the door, and prompts the user to remove the key.